Our IL600 LED fixtures are the lighting solution for easy retrofits and hardscape remodeling. 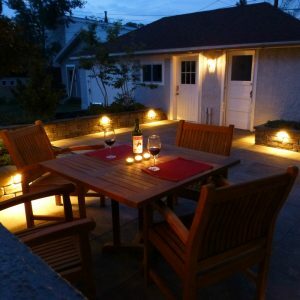 It is simply the most versatile fixture in the hardscape lighting market. An overhanging block or cap is not required to hide this fixture, so it can easily be installed anywhere within the wall. If you have an existing hardscape and want to add light, look no further.